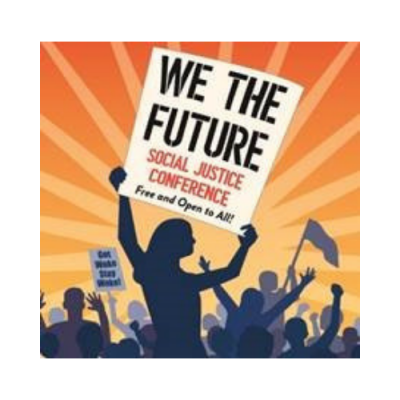 Santa Rosa Junior College and North Bay Organizing Project (NBOP) invite proposals for workshops, presentations, panels, and performances for our third-annual We the Future Social Justice Conference, which will be held at SRJC Petaluma on Friday April 12, 2019 from 9am to 3pm. Last year’s conference attracted hundreds of participants, drawing people together from all walks of life, from college and high-school students to longtime local activists. We encourage proposals that address this year’s theme: “Migration—Movement of the People.” In the broadest sense, this theme honors the propensity for living beings to move: human groups, animal populations, seeds and plants. In an era of heightened xenophobia, we also seek to raise awareness about the injustices causing migration and movement building in recent history: political instability and corruption; labor exploitation and “economic restructuring” for the benefit of elites; xenophobia, racism and ethnic bigotry; state, paramilitary, and gang violence; and environmental catastrophes caused by extractive industries. Finally, we encourage conference participants to explore how people as well as ideas, objects, and practices circulate globally, resulting in cultural traffics, flows, crossroads and intersections that neither borders nor walls can stop. Proposals for workshops that are hands-on and interactive, and that address the connection between social justice, migration, and movement building, will be prioritized. Our keynote speaker will be Dr. Victor Rios, an immigrant himself who is a leading critic of the U.S. school-to-prison pipeline. Dr. Rios’ empathetic research on the criminalization of young black and Latino men resonates with his own life experience, as someone who was brought to the U.S. from Mexico at age two and grew up surrounded by poverty and gang violence in East Oakland. In his writing and inspirational talks, Rios offers not just an individual success story, but a vision for systemic change that will support rather than harm “at promise” youth. For questions please contact Dr. Amanda Morrison, SRJC Petaluma Our House Intercultural Center Coordinator, at amorrison@santarosa.edu, 707-778-2427.